Leuze electronic optimally supports this different communication characteristic by means of the dual channel principle. While the data for process control is transferred in real time over the first sensor channel, the second sensor channel transmits the information for monitoring and analyzing the machine. The principle is the same for all sensors with an interface(s), regardless of the sensor’s complexity. 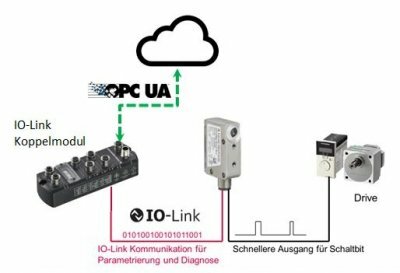 Advantages of the dual channel principle from Leuze electronic Issues such as condition monitoring or predictive maintenance, which are a big part of IIoT and Industry 4.0, require sensors that are capable of making data available worldwide and in a standardized format. In general, it must be determined what the real-time capability requirements are. The dual channel principle makes it possible for the first time to make data available separately and according to customer requirements. Real-time data is transferred via channel 1, and data for process monitoring and configuration via channel 2. Hey Buddy!, I found this information for you: "An innovation from Leuze electronic: the dual channel principle – but what does that actually mean?". Here is the website link: https://electronics-journal.com/an-innovation-from-leuze-electronic-the-dual-channel-principle-but-what-does-that-actually-mean/. Thank you.